Home / Philosophy / Waterproof and Breathable: What do you think? Waterproof and Breathable: What do you think? 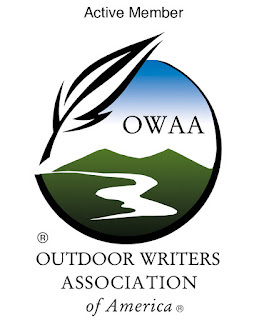 I just got back from the aforementioned workshop and wanted to thank all of you who responded to my post about what outdoor clothing designs you would like to see. I'm happy to report that your comments were received with great enthusiasm by the company (which shall remain nameless). Over the 3 days, we talked in depth about a lot of things related to outdoor clothing design, but one thing in particular struck me. When the subject of waterproof, breathable fabrics came up, everyone seemed to have different perceptions of what breathability really means. I have to admit, it caused me to question my own assumptions about how I perceive if a garment is truly breathable or not. I constantly see people giving conflicting opinions about the breathability of the same garment, so, I'm curious. What's your perception? If you put on a breathable garment, does that mean you'll never sweat? Does it mean that you might sweat a little but you won't overheat? Is "waterproof/breathable" an oxymoron? I want to see what you guys think. Oxymoron. Clothing is either waterproof or breathable. Breathable only seems to work for me when the humidity is very very low. Now that I live in AZ, GoreTex and the like work for me fairly well. However, when I was in GA, I could never understand what all the fuss was about. My expectation for breathability is that some of the moisture makes its way out of the jacket. If I'm going hard, up hill, with a pack, nothing is going to move enough moisture to keep me dry. I'd love to see a "scale" of breathability ranging from vinyl sheeting (none) to bare skin (or its near equivalent). Garments could show their relative breathability on a comparable scale. Similar thoughts for waterproof, though "waterproof" is less of a variable on outerwear that I've tried than "breathable". one that allows sweat to wick away from the body. that would be my best explaination. Breathable is a DriDucks or Frogg Toggs suit, something through which I can tell when a breeze is blowing. It seems to me that it depends on whether we are talking fabric or garment. Like Jerry, I think a fabric should move moisture from my body to the outside world (normally in a gaseous form). What is more important to me is that I can get a shirt, jacket or pants to vent sweat/moisture away from me, i.e. a rain jacket with pit vents. If the fabric helps the process great! Like Terrance, your experience will vary with the outside humidity of where you hike. I agree with samh, but the reality is that some clothing is better at one, the other, or both than other options. Both topics are absolute considerations when I pick gear and it only became a completely obvious reality when I tried eVENT. For those who don't think there is little difference between eVENT, Gore-Tex, DWR treatments, etc., you'll become an awfully fast believer when you actually compare them. If I feel clammy and wet it is not working for me. But I use lots of venting if I am expanding a lot of energy. At that point I just need to stay dry. WB without lots of venting is not something I want to try. On the other hand total waterproof non-breathable will leave me soaked in condensation which is no solution at all. I too would be in favor of some kind of rating system. I'd have to say that if the amount you sweat would have to evaporate at the same rate whether you are wearing a garment or not. That would be a 1 to 1 but as the efficiency of the garment drops you start heading into the rubber shirt zone. I've seen technology on the horizon in which the cloth is designed like a one way valve. It will move water away from the body, but not let any in. Once we have cloth like this pit vents will look like canvas underwear to our kids. Breathability does not relate to if you will sweat, it relates to if the moisture from your body will be able to escape from within the clothing. I think Jerry and Tom are right. A company called http://www.sealskinz.com/waterproof_and_breathable.htm seem to think they've cracked. If any of you do find a waterproof and breathable jacket - we'd love you to let us know at tribesmart. Their is no fabric with a degree of breath ability on the market that can keep up with our bodies moisture/heat output. The most comfortable and most breathable items I use is an umbrella and rain skirt. Manly looking, no! Comfortable yes! I work for a Gear shop/website called ProliteGear. We are huge fans of Event. They don't coat the the back of the expanded PTFE membrane with poly urethane. Goretex coats the back with poly. The only way Gore gets moisture through the jacket is by first saturating the poly layer. Then it uses osmosis to push the moisture through. Event is just as water proof and wind proof with exception that you can blow through the back of it. We have a few articles on the site showing exact specs on how different membranes "breathe" or don't. Here are the links.http://www.prolitegear.com/site/all_about_event.html. There are more articles on the site. The brands we sell that use event are Rab, Integral Designs, and Westcomb. They are using it for tent fabrics now as well. No more condensation. Sweating is caused by body temperatute. As your sweat vaporizes it will pass through a garmet that is breathable. If your body produces sweat vapor faster than you garmet will breath, you will have condisation inside you garment. Breathable fabrics are great, but you must still regulate you body temperature by removing layers and venting before increasing activity.